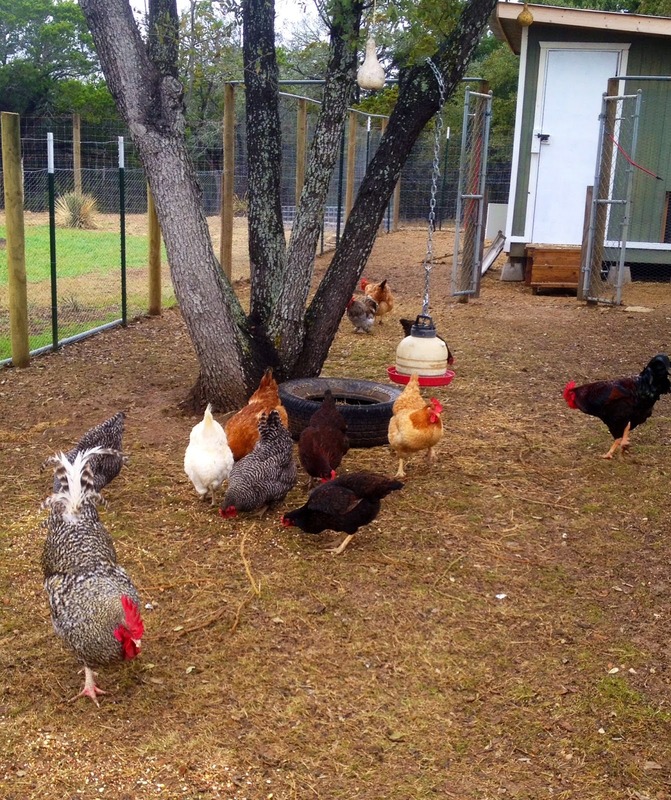 A regular accounting of the goings on with our family, garden, animals and travels. Gardening in USDA Zone 8b. I've been planning to make this planting board since I found it on Pinterest. I tried my Pinterest link today to attach it to this post, and wouldn't you know, the link didn't work. I think I may have created this before I actually knew what I was doing on Pinterest. Oh well, it's a simple concept and I'm pretty sure I got it right. The picture I had showed seeds much closer together, but since my raised beds are only 4' wide, the 2' board will work well for us. They didn't actually have a detailed guide on making it, but it seemed fairly straightforward, so I took a 2' wide piece of plywood and we cut it 2' x 2', then I measured it into 2" grids. 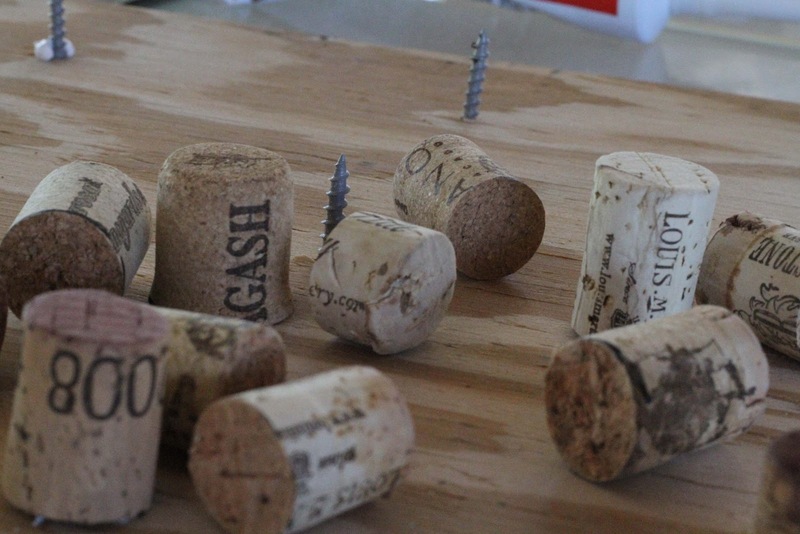 We used 3/4" wood screws at the 2" marks, and then screwed the wine corks that were cut into 1" length onto each screw. 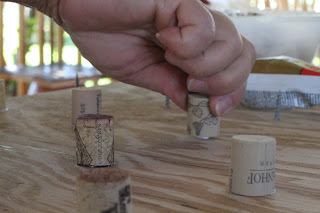 I just used a common box cutter to cut the corks into the correct length. 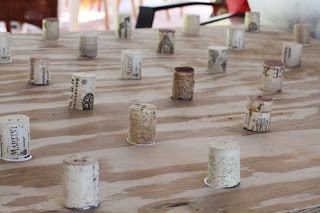 I also cut 1/2" corks for another board that I'm going to make soon. I went into the house for the corks and by the time I got back out, Colleen had almost finished up putting in the screws! She works fast! 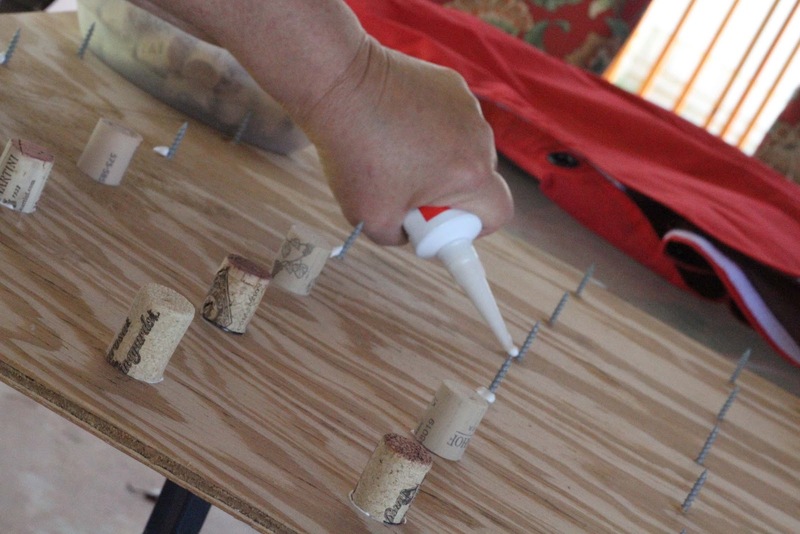 I added a touch of liquid nail at the base of each screw just as an added guarantee that the corks would stay put. Now I just need to add a couple of drawer pulls on the back side to use as I press the board into the ground to create the 1" indention into the soil for my seeds. 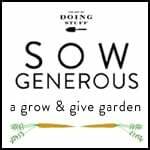 I'll be using this on the 15th to plant the beans and squash plants! 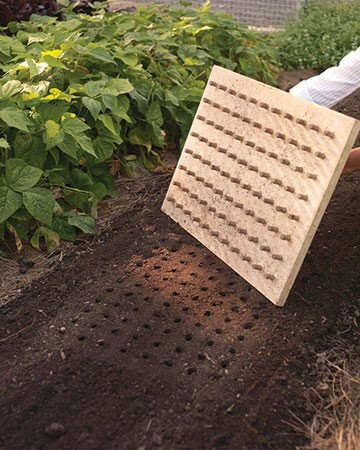 Neat..a seed hole mould. Say that three times fast. 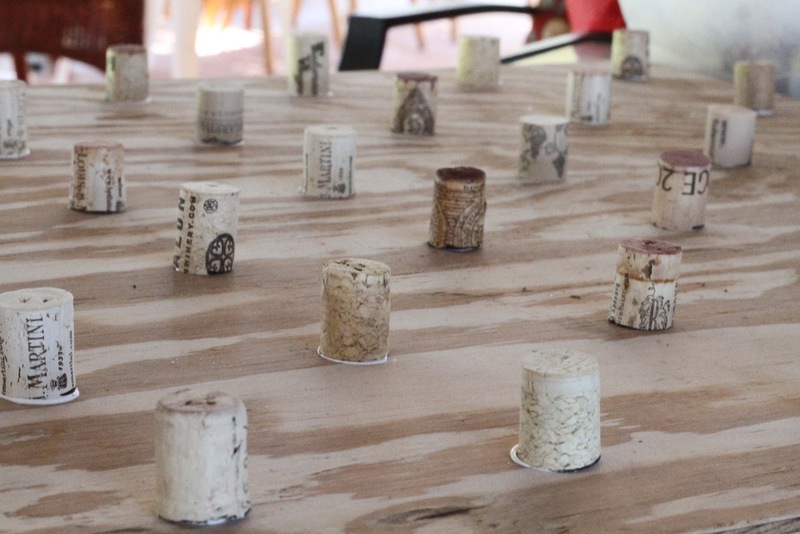 where can I get wine corks? I don't drink wine and I don't anyone that does. Local beer or wine supply shop. 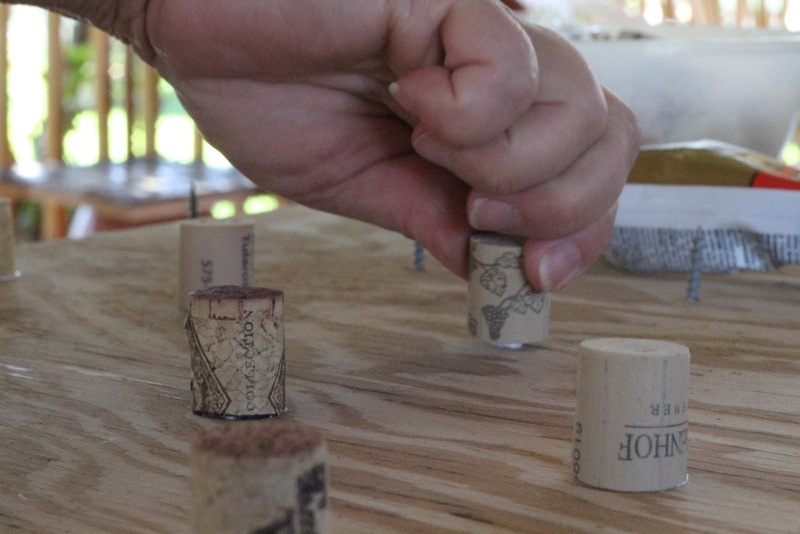 Or if there us a winery near by they might have used ones. Great idea. Peg board and dowels could be used as well. I'm on TWITTER, but beware! I get all political there!